You may remember that fabulous giveaway I did a few weeks ago for the Party in a Box that was stuffed full off Martha Stewart Craft goodies. 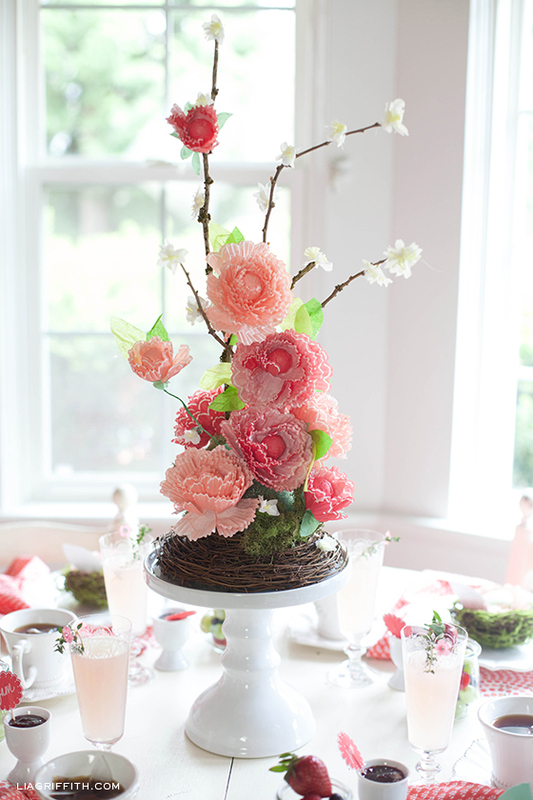 Well today I am sharing with you how I used my box for this Spring in Bloom Mother’s Day Brunch as part of my 12 Months of Martha. 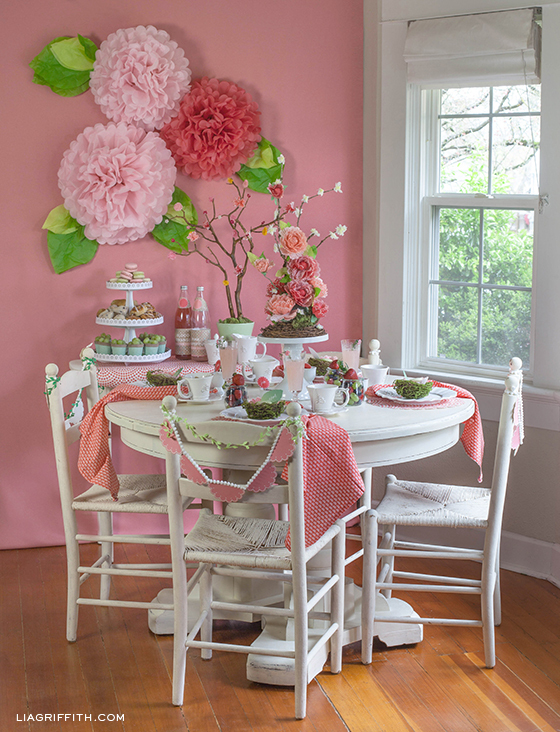 My blogger friend Lisa from Handcrafted Parties came over to help me style and set up these pretty in pink table and we together used as many of the items in unexpected ways to make the table delightful and interesting. 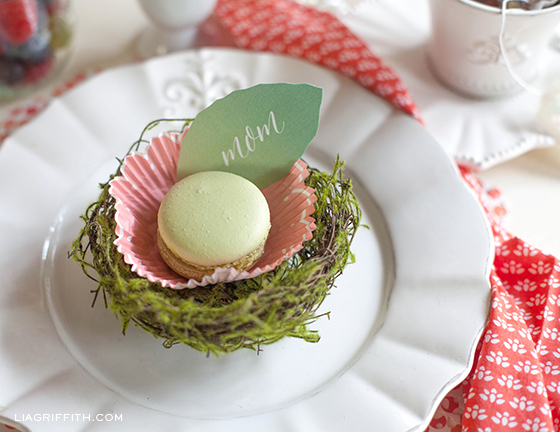 For this party we used the Circle Edge Punch Starter Kit to create place mats, cupcake wraps to hold the pale green macarons as well as make the center piece bouquet (see tutorial here). We then added the Vintage Acrylic Flower Embellishments to the side of the glasses for a an added touch. 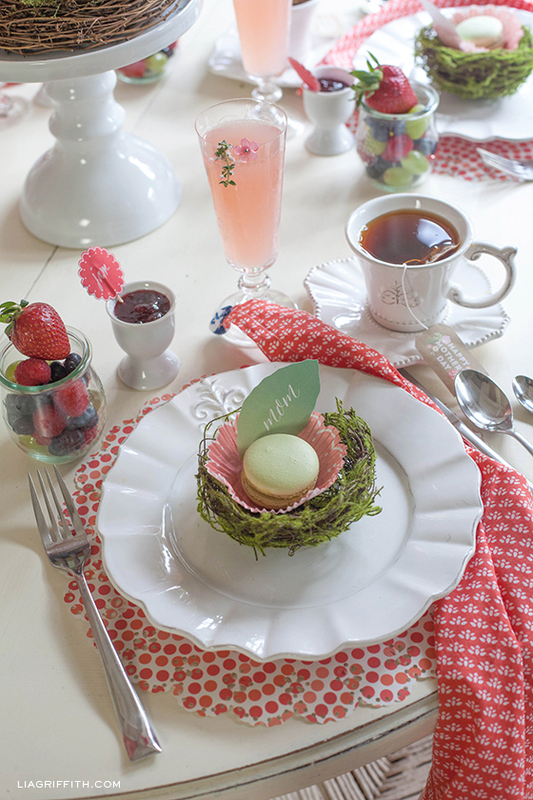 The egg cups become personal jam jars with the Vintage Girl Food Picks marked “jam” as a finishing touch. 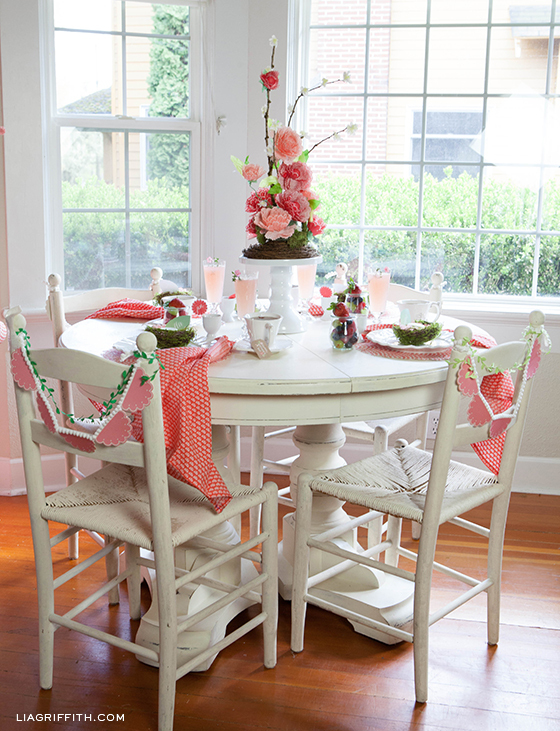 The chairs are decorated with a garland made from the Vintage Girl Coasters and mixed with Vintage Girl Specialty Ribbons. 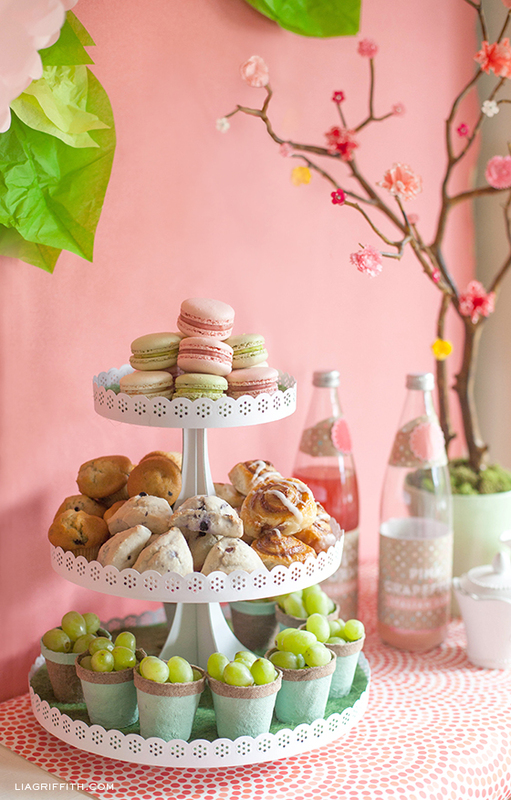 Over on the side table we filled the Doily Lace Cupcake Stand with yummy pastry and fruit. 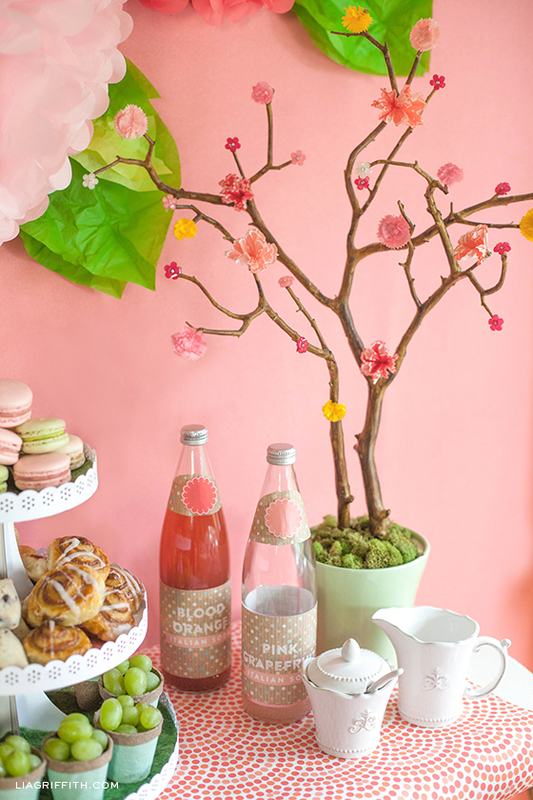 The decorative branches are blooming with Pink Layered Pom Pom Stickers, the beaded flower stickers and small blooms make from the cupcake wraps. 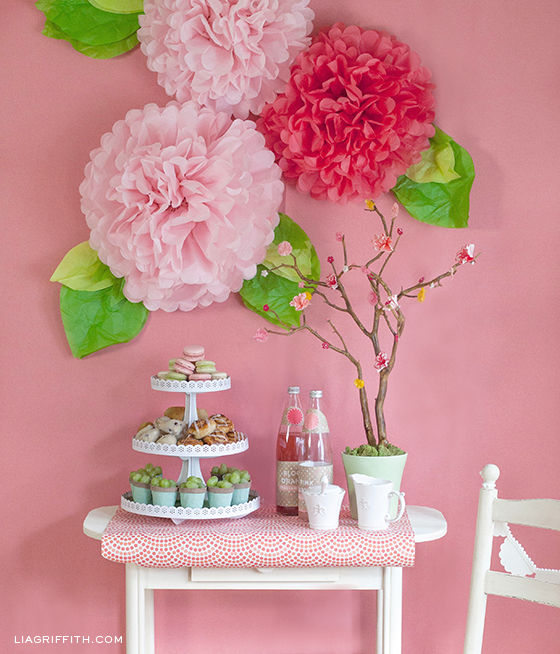 The final touch is the over sized blooms on the backdrop made from the Vintage Girl Pink Pom Poms. I am in love! 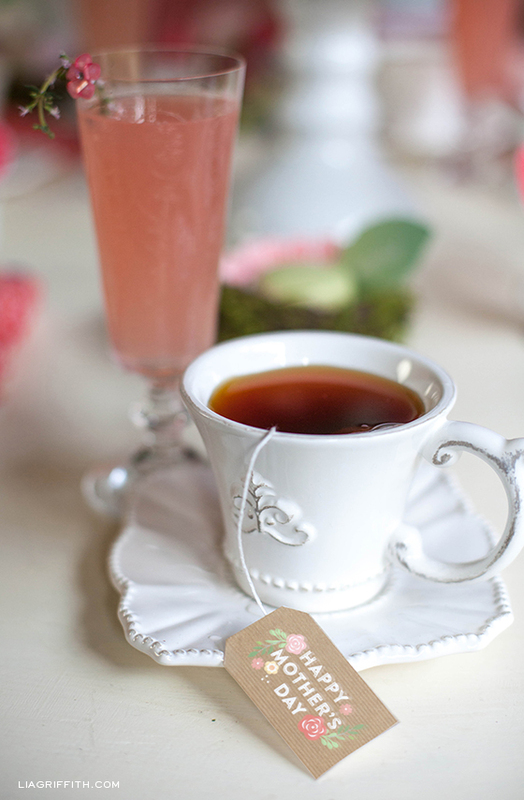 The plates, teacups, glasses and napkins are all from Anthropologie. 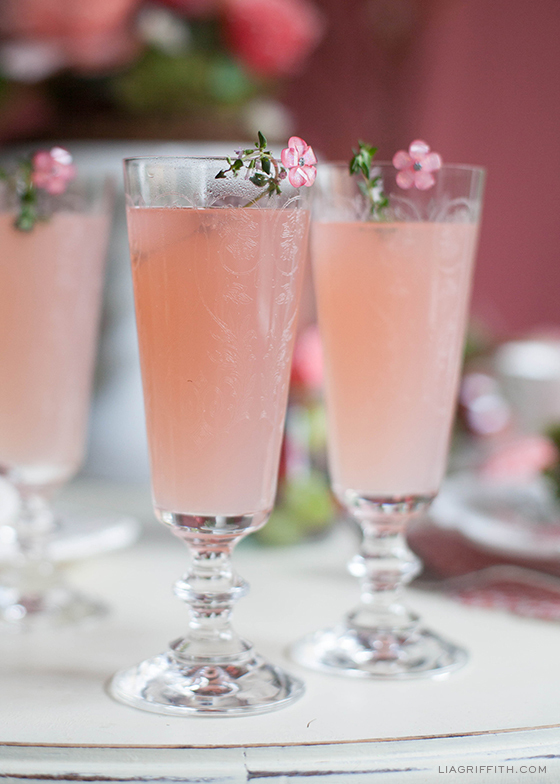 Can you please send me the recipe for the pink drink you served. have you made those Happy Mother’s Day tags available for your readers? I’d love to utilize them for a brunch we’re doing for single / military moms (at our church). I will be posting these today. Beautiful display! I hope I can make those centerpieces for my daughter’s first birthday party. Thank you for the inspiration! Share photos when you do! That is a very sweet comment. Thank you! I love receiving your email!! Look forward to hearing from you each time!! So happy to hear that! Thanks. Positively lovely! Are those painted peat pots — not really sure what they’re called — that you’ve got the grapes in? So cute! Yes they are! One of the little touches Lisa brought to the shoot. Everything looks so beautiful! Looking forward to reading what is to come! What a gorgeous party, thanks so much for sharing it! Thrilled to work with you again, my party partner in crime! 🙂 Now, how do we get someone to throw a Mother’s Day brunch like this for US? I know right! 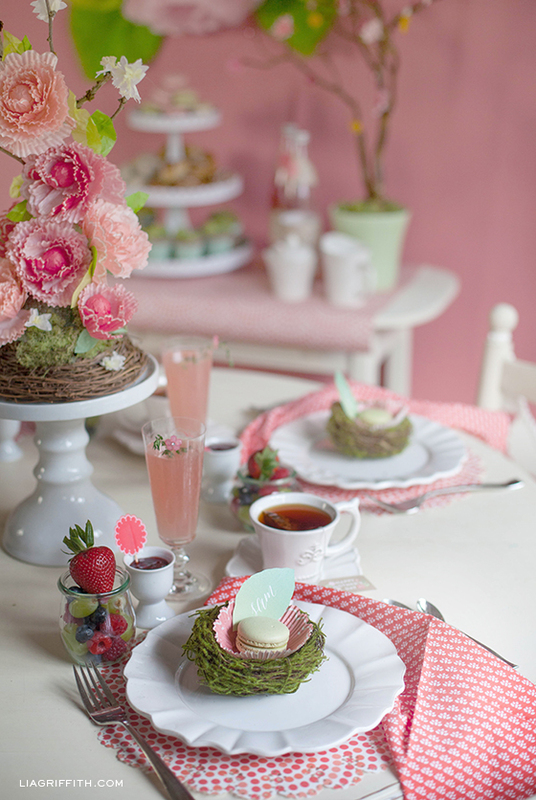 Let’s just sit right down at this pretty table and enjoy!